These replacement Aero Super Mesh Coils are for use in the Aero Mesh Tank as found in the Geekvape Aegis Legend Kit. These coils have a mesh construction for improved surface area, which helps them last longer and deliver outstanding flavor. Geekvape Aero Super Mesh Coils have a 0.2ohm resistance and are rated for use at 30-90W (best at 60-80W). These coils come in a pack of 5. Geekvape has taken their legendary original Aegis Box Mod and condensed it into the superpowered Aegis Solo. Waterproof, shockproof, and dustproof, the Geekvape Aegis Solo is smaller than ever and weighs almost half of what the original Aegis Mod weighs. 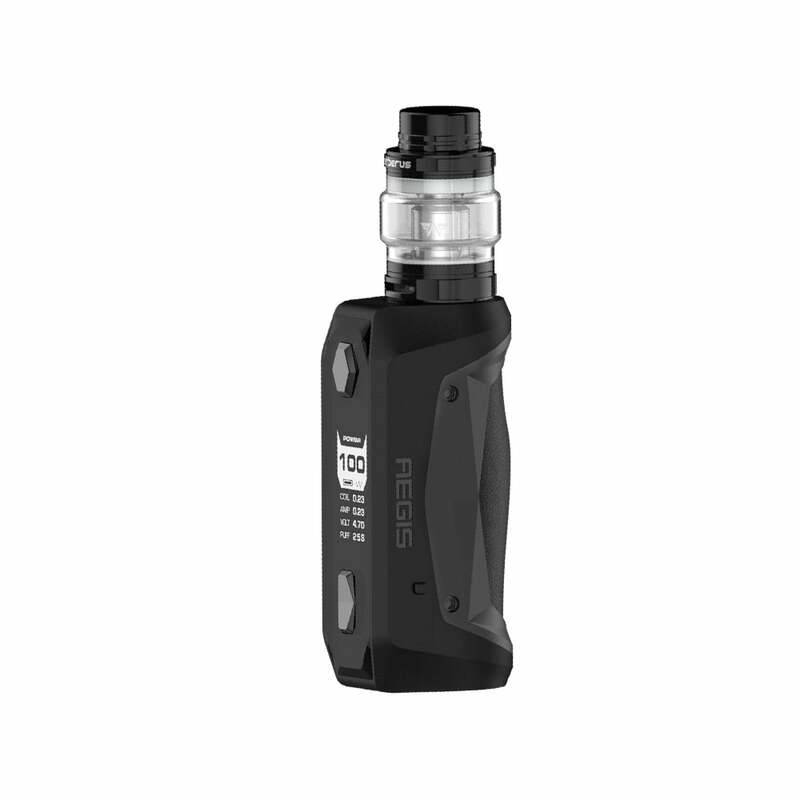 The Aegis Solo Vape Kit can produce up to 100W of power with a single 18650 battery, the cutting-edge AS chipset intelligently monitoring your device. Multiple safety features are in place to protect you while you vape, including 10 second cut off, overcharging and overheating protection, short circuit protection, and Anti-dry protection. The Geekvape Aegis Solo comes with massive Cerberus 5.5ml tank that has a 0.3ohm Aero replaceable coil pre-installed into the tank that's perfect for vaping huge clouds with your favorite vape juice. The Aegis Solo Vape Kit by Geekvape is perfect for sub-ohm vapers who want a powerful mod and a huge tank that they can keep vaping all day long!